Congratulations Dr. Amanda Kemp, an activist, artist, and ASSETS client! Amanda Kemp is a visiting scholar in Africana Studies at Franklin & Marshall College. As long as she can remember, Amanda Kemp has cared deeply about community, justice and social change. At the same time, she loved the arts, so she looked for ways to combine artistic expression with political activism. 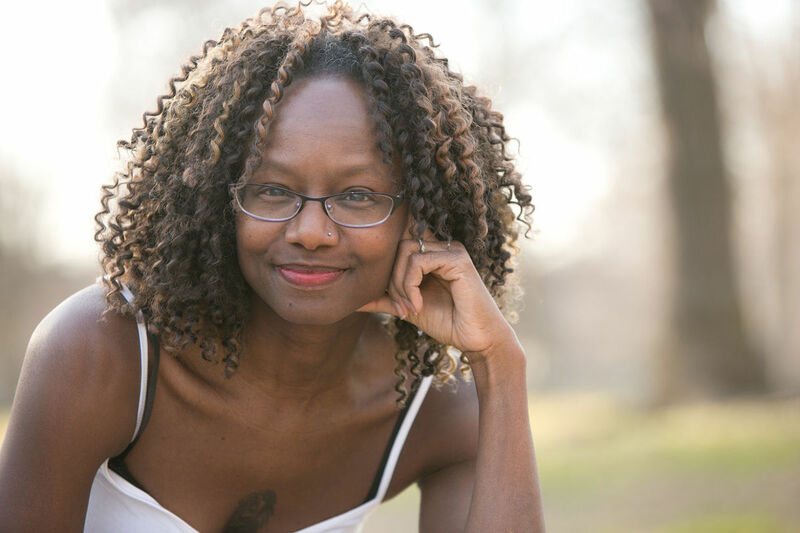 Today she is a visiting scholar in Africana Studies at Franklin & Marshall College, an author, performer, consultant and the founder of “Theatre for Transformation,” a touring drama company that presents original works based in African-American history and culture. This summer, Kemp released “Say the Wrong Thing,” a collection of short essays and reflections on creating racial justice and true community. The book is the basis for a series of free “Lunch and Learn” workshops she has been conducting at the Candy Factory in Lancaster, presenting strategies for inclusion and conflict resolution. Two sessions remain; they start at noon and last an hour. In Lancaster County, as in the rest of the country, one can see clear patterns of structural inequality, she said. In education, to take one example, children in affluent suburban school districts have more access to opportunity than those in struggling urban ones. She acknowledged there seems to be a gulf separating those who are willing to talk about such problems from those who aren’t. Still, people of all races are increasingly willing to engage constructively with issues like white privilege, and “I think that’s a real improvement,” she said. Hometown: Born in Biloxi, Mississippi; Raised in the Bronx. Education: Double-majored in history and African and Afro-American Studies at Stanford University; earned a master’s degree and a doctorate in performance studies at Northwestern University. Family: Married to violinist Michael Jamanis, director of Lancaster’s “Music in the Schools” program. They have five children between them. Languages: English, Spanish, elementary Zulu. What I’m reading now: “Letting Go,” by Maria Thompson Corley. She’s a Juilliard-trained pianist who self-published her first novel. It’s great! I highly recommend it. People I admire: The Rev. Martin Luther King Jr. He was spiritual and political. … He also was broad-minded about faith. Someone I like now is Tara Brach. She’s a Buddhist meditation teacher/writer. She promotes mindfulness, and she’s looking at how we can be mindful about social change and social oppression. Future goals: I’d love to write for film. It’s an unknown frontier for me. I want to do something outside my comfort zone. And I want to make some kind of film with Michael. We have a piece called “Chaconne Emancipated,” with narration from Dr. King, Black Panther Assata Shakur and a little bit of Lincoln’s Emancipation Proclamation. I’d like to collaborate with a filmmaker and create a music video of this 15-minute, mostly classical music piece. On social awareness among college students: I think folks are trying to figure out, what are ways that we can partner that don’t mirror unequal relationships? How can we make our partnerships equal given that there is not a level playing field in which we operate? On activism: My strong hope is that we keep inviting people to the table. We don’t have to have 100 percent unity for you to be a part of something. … Wise movement leadership knows that you’re constantly expanding the circle. Favorite leisure activities: I love walking my dog. Also, game night with my daughters. They are so silly — they make me laugh.